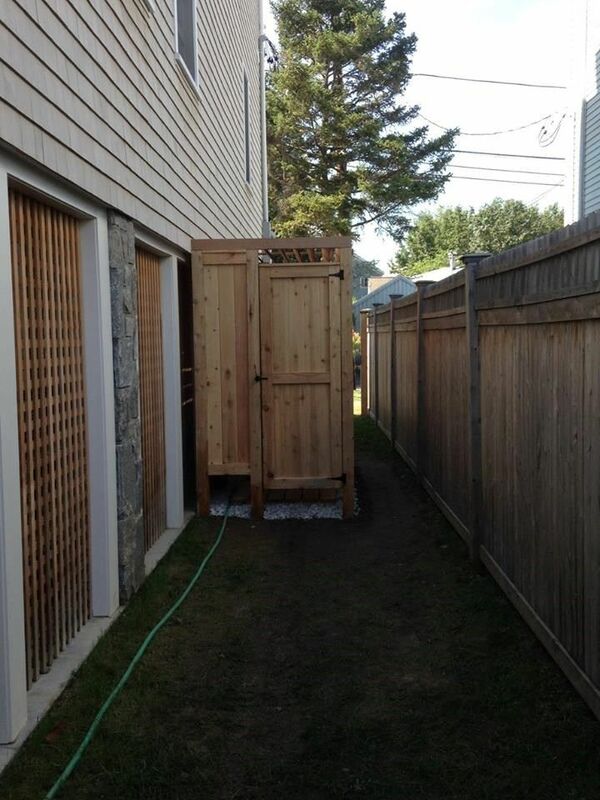 This is a WAY COOL outdoor shower that we installed in Fairfield down by the beach. For outdoor showers, there is no better place to go than Cape Cod Shower Kits. This kit came completely prefabbed and ready to install. We also made a custom louvered roof covering out of cedar for added privacy.